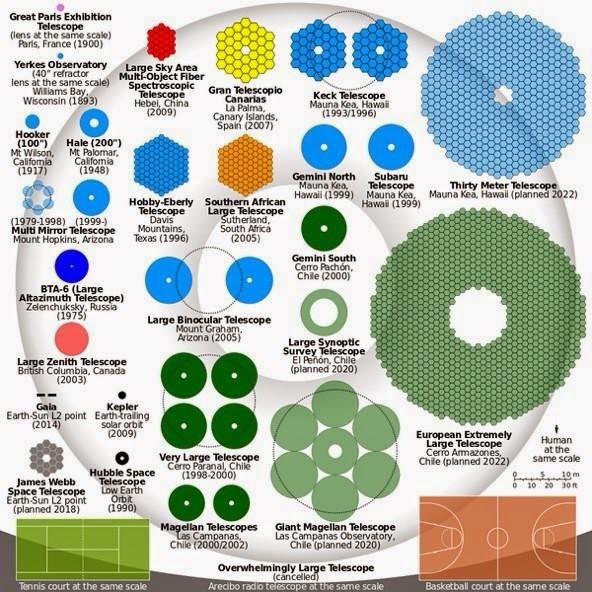 Below is a great infographic about the comparitive sizes of telescope mirrors, both ground- and space-based. Telescope size matters for two reasons. Firstly, the bigger the mirror, the smaller the spatial resolution. Secondly, the bigger the mirror, the more photons from the observed object(s) can be collected. So, the bigger is (mostly) always better in astronomy!